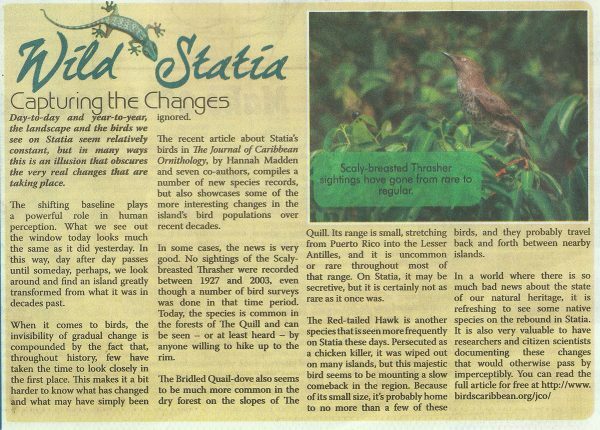 Wild Statia takes a second look at the wealth of information presented in the recent Journal of Caribbean Ornithology article about Statia. 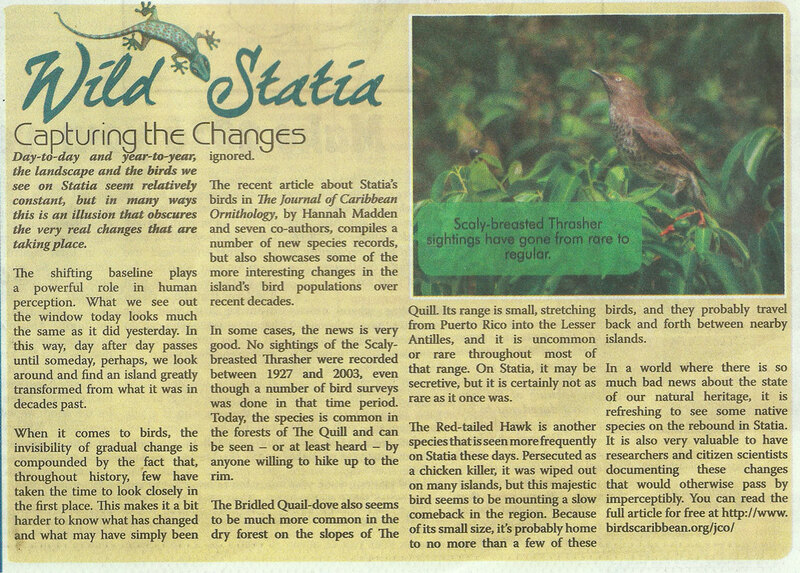 In addition to compiling records of species never seen on the island before, the article also shares data on populations that have been changing in recent years. The full article from the JCO is available as well.